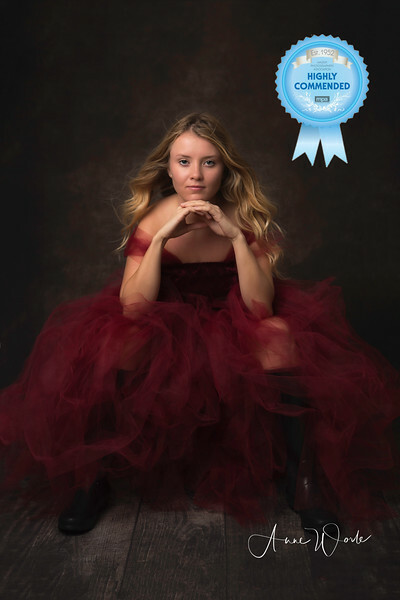 Welcome to Anne Worle Photography! Located just five miles west of Northampton my relaxed, friendly on-farm studio is set in the beautiful Northamptonshire countryside in the shadow of Althorp House. A ten minute drive from Junction 16 of the M1 I am easily accessible for clients travelling from Warwickshire, Buckinghamshire and Worcestershire. However location commissions are taken from right across the UK. I specialise in beautiful family portraiture. Every moment - from Bump (with simple, stunning Maternity photographs) to Baby and Beyond. Sleepy, precious newborn photography. 'See me Grow' for those growing children as they learn to sit up, smile, stand. First Birthday and Cake Smash. Timeless images of your child - be they Toddler or Teenager. 'Be-YOU-tiful' sessions for portraits of grown up girls and women and - because pets are family too - award-winning Fine Art Pet Portraits. Give me a call today -01604 770013 - and lets have a chat about what YOU want. Because it really is all about you!